From patterns etched into the skin of an ancient mummy to the colorful designs that adorn people today, tattoos are not just skin deep; they tell us about individuals and their cultures—and offer insights into what it is to be human. Anthropologist Lars Krutak, a research associate in the Department of Anthropology at the Smithsonian’s National Museum of Natural History, has spent the past two decades learning about tattoos and their meanings. 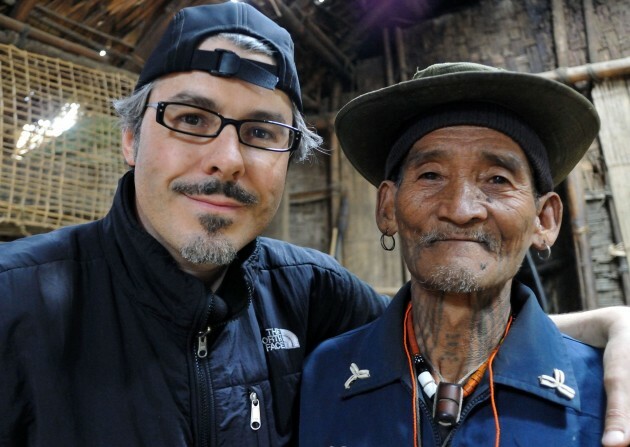 Krutak has a special interest in preserving indigenous tattooing, which is vanishing around the globe. He spoke with Smithsonian Science News about this art form and its future prospects. Q: What is the earliest evidence of tattoos? Krutak: The most ancient evidence of human tattooing is found on the mummified corpse of the 5,300-year-old Neolithic Iceman who was discovered in the Alps in 1991. The Iceman has a total of 61 tattoos—short lines etched in groups on his lower back and ankles, four lines on the torso above the gall bladder, a cross behind his right knee and two rings around his left wrist. Interestingly, approximately 80 percent of the Iceman’s tattoos overlap with classical acupuncture points used to treat rheumatism, a medical condition that plagued him. Other tattoos were found to be located on or near acupuncture meridians. Q: Were these early tattoos purely decorative? Did they serve another purpose? Krutak: A common myth that continues to be perpetuated in popular and academic peer-reviewed publications is that tribal tattoos were ornamental. 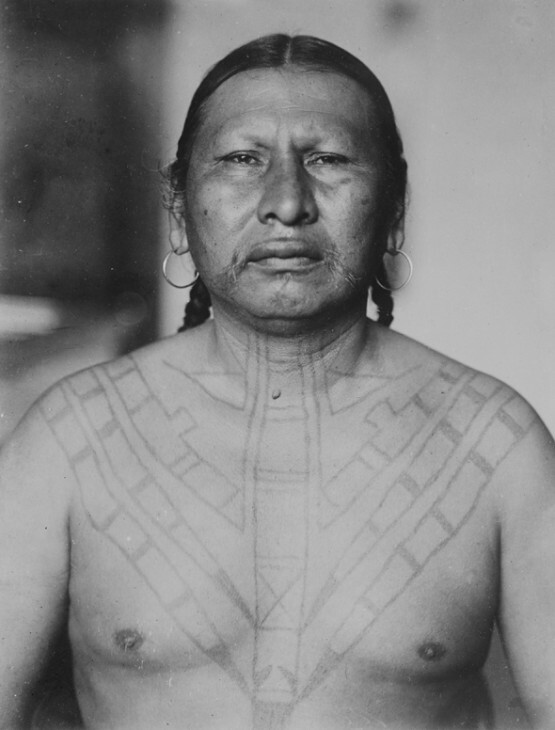 Some indigenous peoples did receive tattoos to enhance their physical appearance, but this practice was the exception rather than the rule. Most tattoos identified tribal designation, related the social accomplishments of the individuals who wore them or functioned as medicinal therapy or as apotropaic [evil-repelling] symbols. In short, I see body marking as a kind of biographical language. Q: What are some traditional methods of tattooing practiced around the world? Krutak: Skin-stitching or needle-and-thread tattooing was a technique used across the Arctic and Native North America. Hand-poking, where the design is poked into the skin with a sharp pigment-tipped needle, was a more common method of tattoo application. Today, hand-poked tattoos continue to be given across Indochina and Japan. Hand-tapping is perhaps the most ubiquitous traditional technique and indigenous to Oceania, Southeast Asia and parts of Melanesia (e.g., Papua New Guinea). In some regions of Africa, North America and Asia, the method of scar tattooing was employed. Here, skin incisions were made with a lancet (obsidian, iron, etc. 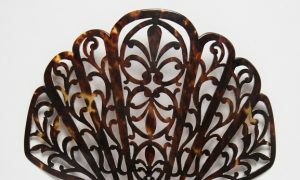 ), and the tattooing pigment was immediately rubbed into the open wounds. I would also characterize hand-pricking as yet another tattooing technique. 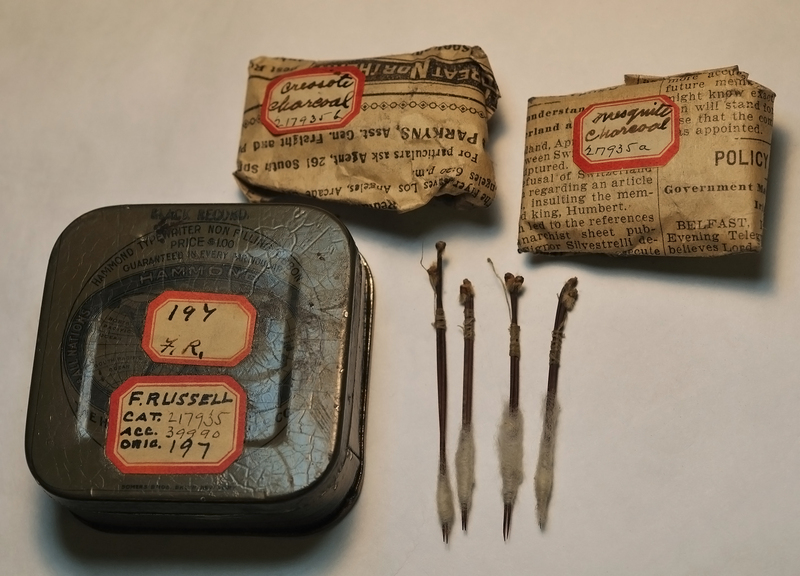 Simple needles, usually two in number obtained from cactus or palm-tree spines, were wound together with cotton thread to prick the skin. The small space between the needle tips acted as a reservoir that held the liquid tattoo pigment in place. However, the needles had to be dabbed into the pigment after a few pricks had been made to keep this reservoir full. This technique was employed in the Middle East, Balkans, Amazon and other regions of South America, Northwest Mexico and the American Southwest. There is a very rare technique that I call “hand-hammering” that might be ancestral to hand-tapping. It is found only in a small region of Northeast India among the Konyak and Wancho Naga. Female technicians fashioned an adze-like tool with a row of bush thorns and basically hammered the needles into the skin. However, today, the majority of tattoos are created by an electric tattoo machine. Q: Are any of the endangered tattoo styles being revived by new practitioners? Krutak: Most of the tattooing revivals across the indigenous world are focused on cultures where hand-tapping was the norm. The Polynesian renaissance began in the 1970s and reached Hawaii in the 1990s. Hand-tappers in Southeast Asia worked hard to revive tattooing there in the late 1980s and early 1990s. Scar tattooing and hand-hammering have virtually been abandoned and so too has skin-stitching, although there are individuals who have remastered these ancient techniques. 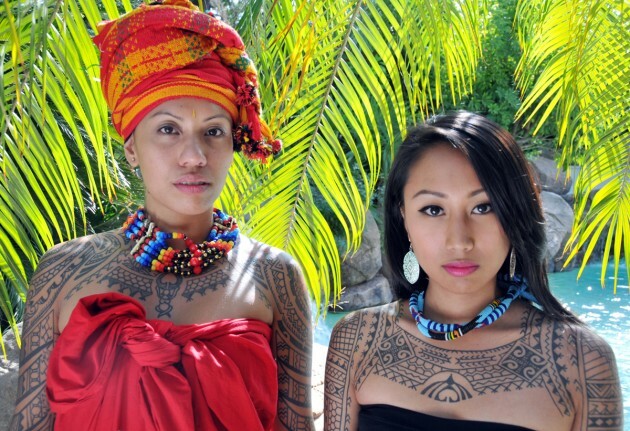 In the past decade, however, tattooists have helped to revitalize the tattooing traditions of their people. 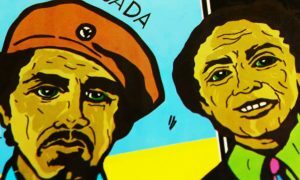 Non-indigenous artists have been on a mission to preserve those of other autochthonous [indigenous] groups. Q: You have been tattooed by a variety of traditional methods. What was most meaningful to you? What was the most painful? Krutak: All of my tattoos are equally meaningful and special in their own way. So I can’t place one above another. One unforgettable experience was when I received my first traditional tattoo in 2002, a hand-tapped rosette in a longhouse in Borneo. It took about 4½ hours to complete. But the worst part was not necessarily the pain of the needle. Because the village was not electrified, and we were tattooing at night, we had to create our own lighting with a car battery attached to floodlights. Every large flying insect was attracted to those lights that evening. And for more than four hours bugs would hit the lamps, then fall down directly on my skin and crawl all over (and into) my body orifices. It was like torture because as the tattoo artist hammered away with his tool, I had to remain still as thousands of prickly legs crawled across the surfaces of my skin! Q: In your latest book Tattoo Traditions of Native North America, you explore the tattoo culture of indigenous tribes of North America. What surprised you in your research? 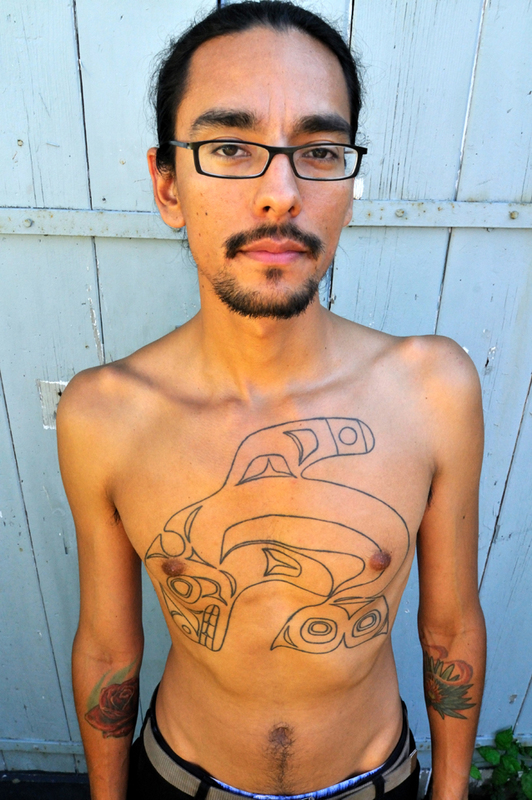 Krutak: That nearly every culture indigenous to North America practiced some form of tattooing, and in many cases it had a perceived therapeutic value. Q: What do you think of modern tattoo culture? Krutak: Tattooing, like culture, is constantly changing and has been evolving for millennia. Today, there are numerous styles, and the motivations to give and receive tattoos are as varied as the people who have worn them throughout the past 5,000 years. I feel that the study of ancient and more contemporary tattooing culture offers one of the most profound biographical, artistic and intellectual statements on the importance of cultural diversity, human experience and visual communication. Tattoos transmit a vast body of information about who were are, where we came from, our desires and fears and who we aspire to be.